I am working on project to transform a old abb irb6400 robot with s4 controller to a CNC machine. The problem in the preprocessor is that the move circular is not included. I want to include my self but er must reason why it is not implemented? 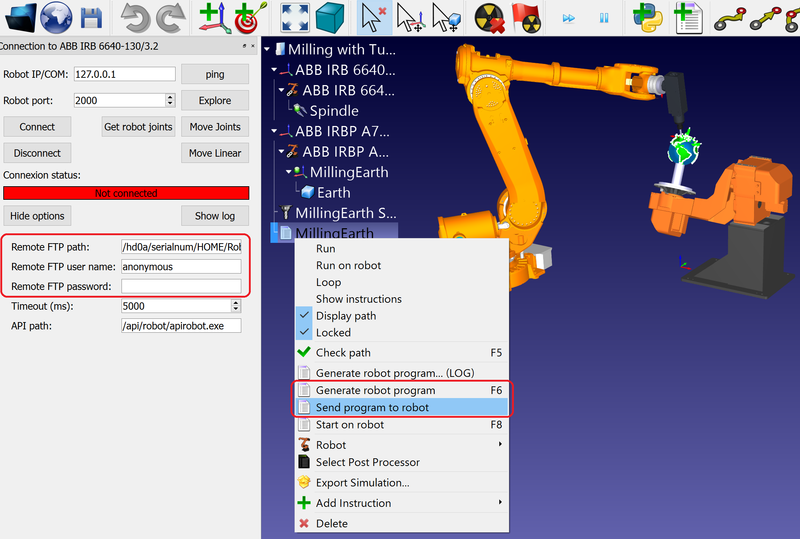 The new version includes a post processor with the MoveC command (see post processor attached) and a couple more improvements such as allowing multiple modules generated by RoboDK to remain in the robot controller at the same time. For ABB robots you can then use ABB RAPID's Load method to load modules that have been transferred through FTP.